Do you have someone in your family who you consider to be a queen, and worthy of royal approval? If the answer to that question is yes, then this fantastic customisable wall sticker might just be the one for you! 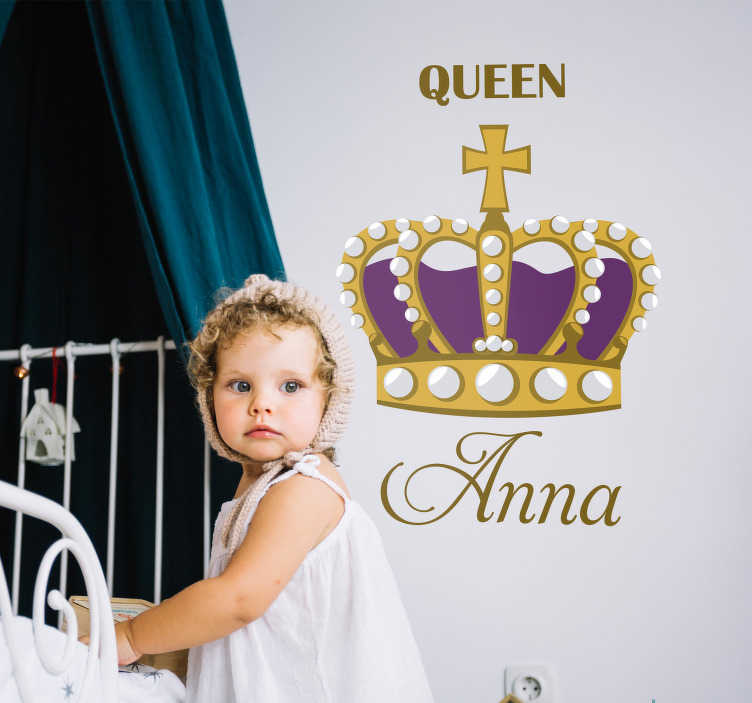 Perfect children´s bedroom decor for that queen in your life! Simply choose your size and enter your text!